Hey all, I have a city-specific giveaway this week for a 4-pack of tickets to see the Harlem Globetrotters on Sunday, March 13th at 6 pm at the Wells Fargo Center here in Philadelphia. I’ll actually be taking my family earlier in the weekend and would love for a local reader or friend to win this giveaway as well! I’ve actually never seen the Harlem Globetrotters and as I have two boys who recently went to a 76ers game in Philly and were enamored, I’m sure this is also going to be a hit. If you don’t win and want to go ahead and purchase tickets, just use each of the links above to buy tickets for the various shows. Â You can use coupon code MOMBLOG to receive $7 off each ticket! Sorry to all the non-Philly readers but there are so many of you in Philadelphia, I thought I’d at least hold this little giveaway for some local fun! I have four vouchers for Sunday’s game at 6 pm. It’s a quick one b/c I want to be able to mail the tickets in time so you have a day to enter! 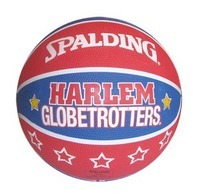 -Like the Harlem Globetrotters and Mommies with Style on Facebook. Leave me a comment here to let me know you did so! One winner will be selected tomorrow, March 9th. Edited: winner picked. Congrats to Libbie! This contest is now closed. love both and my 3 boys would love to see the game! Yeah! love all of your fb posts….. plese enter me into your drawing… My boys would love to see the GlobeTrotters play. I personally haven’t seen them since the 80’s. :o) Thanks for all you do ! My kids would love to go. Just liked you on FB! I like Harlem Globetrotters on FB!! !